St Andrew’s has a number of links with the community. Most prominent are our links with the St Swithun’s Community Centre and St Mary’s school. You can read out these separately under their own tabs above (please see under ‘What we do’). We have a close relationship with Ashdene, which is part of the Langley House Trust (see http://www.langleyhousetrust.org). The charity helps people coming out of prison to lead crime free lives. Ashdene is a hostel for Male ex-offenders. Our Priest-in-Charge, Revd. David Gerrard, acts as Chaplain for Ashdene, leading a weekly prayer time and supporting the clients and staff pastorally. We also have good links with Co-active (see http://www.coactive.org.uk). 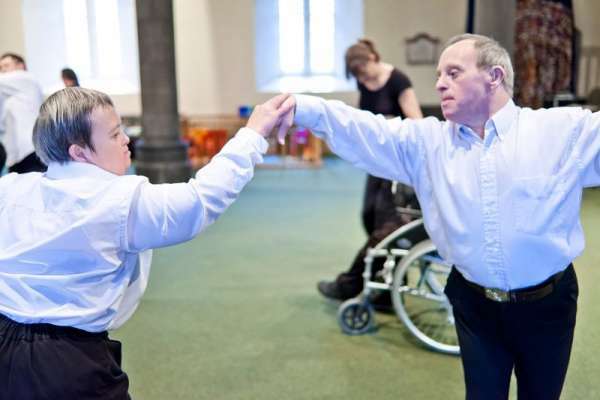 Co-active is an arts organisation for those with learning difficulties and meets in St. Andrew’s. Revd. David Gerrard is also a trustee of the charity. In addition, we have a good relationship with the City of Sanctuary, which supports refugees and asylum seekers in Wakefield. Their International Men’s group meets in St Andrew’s. We also works with our friends from Trinity Methodist Church (which is down the road) to go into Sycamore’s Nursing home. Other groups that use St. Andrew’s are Alcoholic’s Anonymous groups and a Karate group.